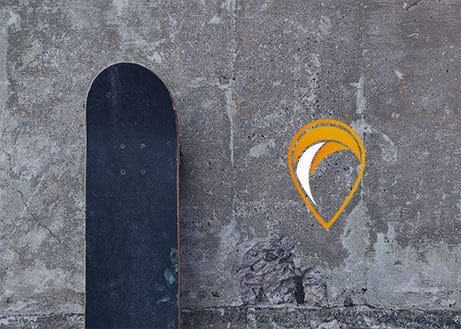 So we decided to give you some tips on how to do something with these boards that you’ll be proud of, hoping you’ll be a little handy. Easy and quick to make shelves from skateboard. Hang them on the wall or put them directly on the floor, enough to have your own decoration ! This one is also one of the easiest to make because all you need is a truck to fix on the wall and a piece of rope. Always easy to make, take a skate that you cut in half and you will have two custom coat racks! 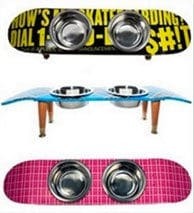 Two holes in the board and you have a great support for your pet’s food who will share with you your passion! It’s your children, nephews or nieces who will be happy! Make them a swing from a skateboard. You’re redoing your house and you’re an unconditional skateboard fan? This stairs is all you needed for your little piece of paradise !